BlueStacks allows you to switch between landscape and portrait rotation mode as default ones. 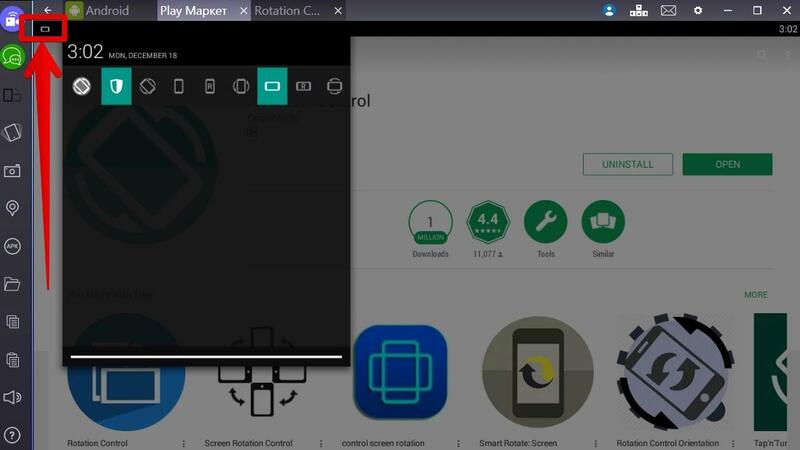 If you want to expand the rotation functionality, you have to download Rotation Control application on BlueStacks. Launch the app and switch ON button (see pic. 1). Then pull the app icon on the top of the screen and choose the rotation mode you want (see pic. 2). 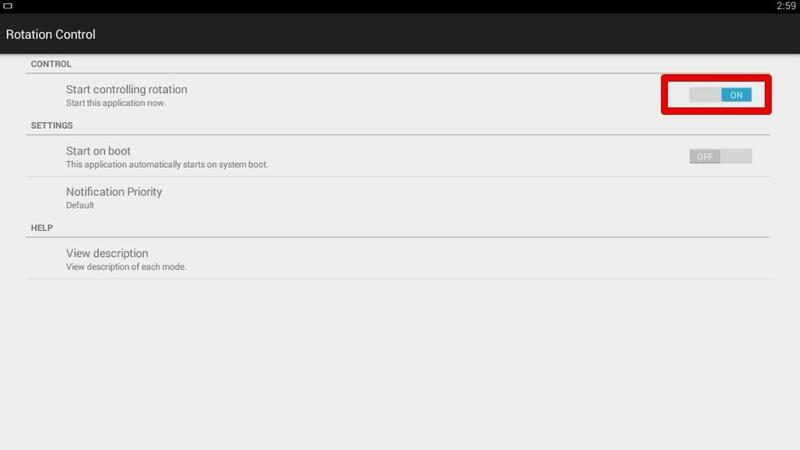 Also, you can use alternative apps that allow you to change a screen orientation.